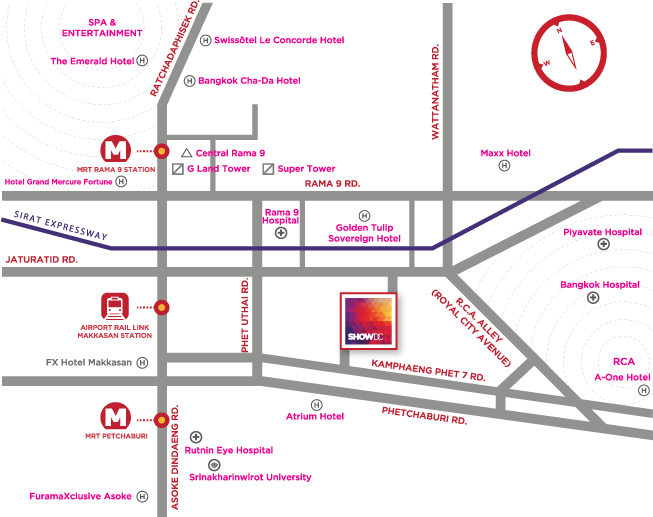 Bangkok Float Center is in the heart of Bangkok at SHOW DC Entertainment Mall. Bangkok's first retail and entertainment mega-complex. The 10 billion baht 150,000 sq meter complex features a 1,500 seat sports arena, 5,000 seat performance hall, 5,000 sq meter Thai fantasy dreamscape cultural walk, Thai and Korean walking street, Lotte duty free, rooftop club and restaurants, travelers lounge, and your favorite float center! Himmapan Avatar immerses visitors in a Thai fantasy world as they explore the 1st digital 4D experience in the world. Well known amongst all Thais, the Himmapan Forest of ancient Buddhist literature is a mystical gateway between heaven and earth where fantastical beings dwell. Its stories have inspired Thai art and architecture for centuries. At SHOW DC the tales come to life with the latest technology, thrilling a global audience. SHOW DC transforms its sport arena into an exciting battlefield to perform sensational, powerful, death defying scenes from ONG-BAK. Famed producer Vinij Lertratanachai teams up with Prachya Pinkaew, director of the world rocking phenomenon, to create the most spectacular show ever: ONG-BAK LIVE SHOW. Packed with excitement, they are preparing one of the greatest live shows ever seen. Using state-of-the-art special effects, as well as custom designed techniques and props, this show is guaranteed to keep spectators on the edge of their seats. ONG-BAK LIVE SHOW: the only show on earth that should not be missed! LOTTE DUTY FREE, the best-in-class and no. 1 duty free shop in Asia-Pacific region, makes its grand entry into Thailand at SHOW DC. LOTTE DUTY FREE will introduce the most luxurious duty free shop in Thailand. Shoppers will be able to find all the brands desired and fancied from premium luxury brands to leading local Thai brands. Bangkok Float Center Co., LTD.